This week’s guest blogger is Giannina Medal-Knupfer from www.Winerist.com I have toured this part of Provence and the Riviera in the fall and am realizing how wonderful the summer would have been. Enjoy! The South of France is a dream destination for wine travelers during the summer and traveling to Provence will prove to be a true treat to the senses: the endless days of sunshine feeling warm on your skin, the cooling taste of the Rosé wines, the shades of purple provided by the endless fields of lavender, not to mention their scent filling up the air. At Winerist, we are always trying to uncover the particularities of wine regions that make them so special to visit, and we believe lavender season in Provence is definitely one to look out for! Lavender fields are in full bloom around late June to mid July and harvesting takes place from mid July to late August. If you visit Provence in August you can visit the many distilleries and lavender-producing farms where you will see and learn about the harvesting and distillation process to create the invigorating essential oil. • Mid July visit the Plateau de Sault or the Plateau de Valensole, they are two of the main areas of lavender cultivation in Provence. • Make it a celebration! The annual Festival de Lavande takes place in Digne-les-Baines in the Provence region during the first week of August. • You can start your day by visiting the famous Musée de la Lavande in Coustellet. Here, you can learn about the history of cultivation of this diverse and beautiful plant. Located on the slopes of Mont Ventoux, lies the Aroma’Plantes Distillery. This family farm is owned by the Liardet family, and they specialize in growing organic medicinal and aromatic plants. They also distil their own products at the farm and the distillery is open to the public. During harvesting season, visitors are welcome to participate in the distillation of the plants. Guided tours of the distillery are given free of charge. The distillery is a starting point to two marked loops where you can enjoy a walk around the purple fields. Opening times: October-May from 10 am-12 pm and 2 pm-6 pm. June and September from 10 am-12 pm and 2 pm-7 pm. July and August from 10 am-7 pm. The lavender harvest festival takes place on the 15th of August which gives you the opportunity to watch the local lavender producers full-on the harvesting process. There are plenty of other things going on, for example competitions to see who can cut the most lavender at a given time. Keep an eye out for traditional Provençal costumes, enjoy the live music, local produce and wines. There are even plenty of activities for children – including lavender ice cream! This annual festival gathers around 3,500 performing arts professionals, presenting between 35 and 40 different shows with a total of around 300 performances that include both French and non-French performers. It takes place in Avignon every summer between the 5th and 26th of July. It is a great way to take in the region’s art and culture! 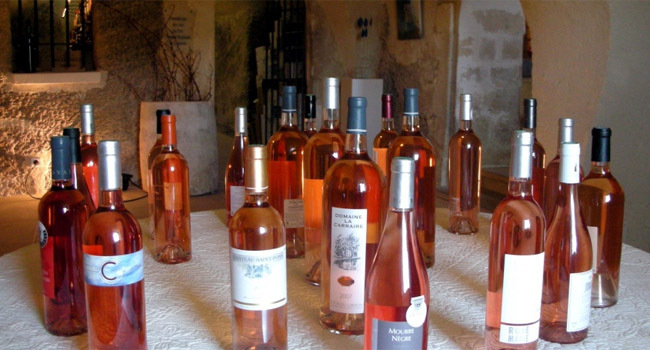 Provence’s palate of Rosé wines has become increasingly recognized and the summer wines festivals are a great way to explore them. There are a number of wine festivals taking place in the summer. Mid-July is the festival in Rognes. And end of July is the festival in Aix de Provence. Develop your senses even further and get a chance to become a Luberon wine and truffle expert with our Wine and Truffles Tour in Provence. This is a great gourmet tour that takes place in a hilltop village of Luberon. The day starts out with a ride along the lavender road where you will take in typical Provencal scenery of lavender fields and villages on top of rock formations. Then you will carry on and visit a winery in the natural park of Luberon where you will get to meet an expert and learn about the wine-making process. 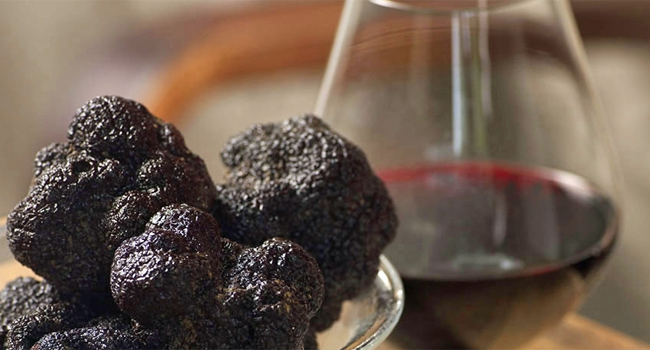 You will later take part in the “Melanosporum” workshop – learning all about the truffle secrets: how to encourage growing, how to sell it and where. Finish off with a wine and truffle tasting before heading off to absorb the charming streets in Aix de Provence.